For a long while I’ve been “reading-all-the-tech-you-can-grab“ kind of guy, staying huge of the manuals especially – as apart from solely device-related stuff, you may learn lots of things not related to the piece of gear directly, and I do recommend you to follow this route as far as you can. Plain but true – hours invested in studying the manuals save you days & weeks of mistakes in the studio and tons of nerve – subject of mixing is huge and there is no other way to get it but via theory-practice combo (however much time you plan to allocate to practice). It may work out in sound design, you may copycat mic placement and tracking setups, but not in mixing. Even going “theory first” way certain some things take lots of time to digest (you may be surprised how long it could be), but don’t let those stop you – grab as much theory as you can and practice regularly, then come back reading and practice again. 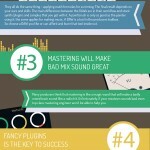 Mixing is a very complex formula taking lots of time to learn so be patient if learning this skill is important to you. Wiki delivers some very good explanations, so why don’t we start from there? Dynamic range compression (DRC or simply “compression”) is a signal processing operation that reduces the volume of loud sounds or amplifies quiet sounds by narrowing or compressing an audio signal’s dynamic range. Audio compression reduces loud sounds above a certain threshold while leaving quiet sounds unaffected. Expansion (the opposite function, increasing the dynamic range of the audio signal, expanders are generally used to make quiet sounds even quieter by reducing the level of an audio signal that falls below a set threshold level), Noise Gates being a great example. The signal entering a compressor is split, one copy sent to a variable-gain amplifier and the other to a side-chain where a circuit controlled by the signal level applies the required gain to an amplifier stage. This design, known as a “feed-forward” type, is used today in most compressors. Earlier designs were based on a “feedback” layout where the signal feeding the control circuit was taken after the amplifier. Though there are no rules and many exceptions, for most music recording engineers tend to use a regular compressor with medium attack and release settings. Most of the time the engineer is looking for a modicum of level control with higher average loudness and some peak protection — and dbx 160SL Compressor does this job nicely. A peak limiter is a compressor with a very fast attack time, medium to fast release time, a high ratio and a high threshold. The task for a peak limiter is to stop or control only the very quick, sudden peak levels that will overload the succeeding audio stage. Manley makes a unit called the Slam that combines a compressor and a peak limiter all in one box. The leveling amplifier is a compressor with a medium attack time, a medium to slow release time, a high ratio and a low threshold. The Universal Audio LA 2A Classic Leveling Amplifier is the classic tube leveling amp. “Opto, meaning optical, describes the light sensitive circuits that control the compression amount in opto compressors. They often react more slowly than other compressor types, but this can be desirable. The famed Teletronix LA2A is an optical compressor that many producers swear by for vocals and mix bus compression. The LA2A is also a ‘leveling amplifier’ — which means it is working nearly all the time, not just when a threshold is reached. 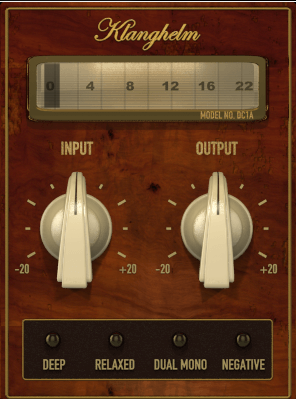 These compressors offer simple, natural sounding control (unless pressed hard)”. “FET compressors are extremely fast, clean and reliable. I like to use these on vocals where a good amount of compression sounds good or better than the same amount with another unit, and on drums for room mics or individual drum mics. Universal Audio’s 1176LN Solid State Peak Limiting Amplifier and LA Audio’s Classic II Dual Compressor/Limiter are examples of FET-based compressors”. Valve Compressors work in one of the three ways described above, but use valves in the amplifier circuit to get that ‘creamy’ sound. The LA2A, which is an opto compressor/leveling amplifier, uses valves. 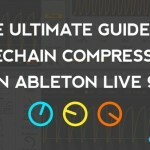 with-all-time-favorite – Side-Chain Compression sitting on top of all that (I would vote for Side-Chain Gating though)) Just to mention — a couple of months ago I’ve compiled “The Ultimate Guide To Sidechain Compression” that already reached 2300 shares. 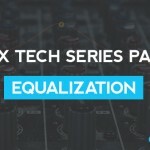 For the newcomers I would suggest to start learning Compressors splitting them by APPLICATION instead of pure tech, namely — depending on where in the mix matrix we use it and what for. No doubt, the tech above may look complicated and it is — and if yes — to split them as Peak/RMS + Channel/Bus + Sidechain Compressors first (or use your own categories) while paying attention if they are Neutral or Colouring. And that will be more than enough to start with. I assume you are familiar with with general GUI elements and functions, so I won’t be touching that (WIKI delivers pretty decent explanations on that so you may start there if needed). Again and again — stability of your DAW should be a top priority, be it you thinking of doing studio tasks exclusively or preparing to go LIVE in the future in both cases your setup stability is a must. Believe the guy still keeping more than 300 letters from/to Ableton Headquarters tech staff in his inbox, and surviving dozens and dozens of crashes through the years, and yep, all that with a legit OS, drivers, DAW & plugins. What did I figure out at the end? Well… in ca. 80% of the cases the crashes have been caused by 3rd party plugins, both free and commercial grades. And to get rid of that bloody habbit took me… LOTS of time and effort (now I’m fighting “Sound Designer Rush” as more n more good stuff is falling over). Thus… Beware! Having said all that, I do recommend you to use Live’s wide range of native dynamic tools as much as you can, especially when tons of goodies added in version 9.0. Read on carefully and you be able to allocate Live’s native devices to majority of categories from above. 2. Fantastic, greatly emulated SSL-console compressor The Glue (just a bit more sophisticated version costs nifty 99.00 USD at Cytomic). Highly recommend digging it in-and-out! 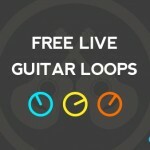 Have vocals on your track? Then without question you have inconsistent volume as the simple switch from a consonant to a vowel will give you widely different volumes. A second reason I reach for compression in every mix is to fatten something up. 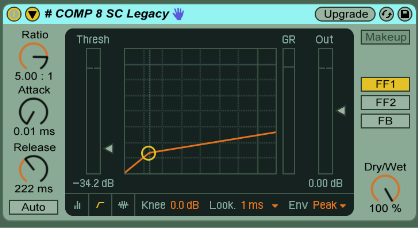 By going for a faster attack on your compressor you can clamp down on the transients a bit more, thereby letting you bring up the gain of the tail or sustain of the track. 5. 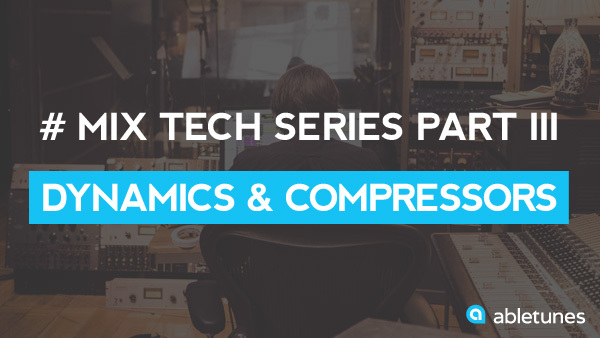 In the cases with very complex dynamic material — try Serial Compression with two compressors chained in a row — the first one take cares of major volume fluctuations and the next, faster one handling the transient peaks Combination of Live 8 / Live 9 works perfect for the purpose. 6. Another thing to keep in mind — Compress in Series — that is bit different from Serial Compression, as in this case we are talking about Individual/Character compression (e.g. on the snare channel) followed by Drum Buss Comp and followed by Master Bus Compressor. In this case keep an eye on the levels and especially Gain Reduction recovery that should normally happen within a bar. 7. In general — keep VCA / FET compressors for handling PEAKS (esp. in transient based sounds — Drums and Percussion) and OPTO for RMS tasks (e.g. levelling heavy bass lines). Do EQ cuts first. Then compress. Then apply boosts (and if you’re doing your first mixing sessions — try to limit yourself with max 6db boosts for a while. Mixing is a complex sequence of operations where lots of rules do exist. Learn them well, however hard it may look first, and you get a good chance to break them later. Thus… Walk. And Ye Shall Reach.